Informationen zum Autor Klappentext Written by one of the twentieth century's leading textile artists, this splendidly illustrated book is a luminous meditation on the art of weaving, its history, its tools and techniques, and its implications for modern design. First published in 1965, On Weaving bridges the transition between handcraft and the machine-made, highlighting the essential importance of material awareness and the creative leaps that can occur when design problems are tackled by hand. 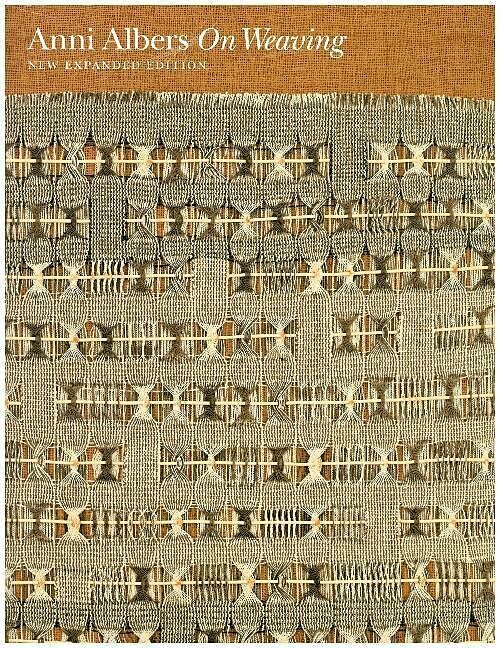 With her focus on materials and handlooms, Anni Albers discusses how technology and mass production place limits on creativity and problem solving, and makes the case for a renewed embrace of human ingenuity that is particularly important today. Now available for a new generation of readers, this expanded edition of On Weaving updates the book's original black-and-white illustrations with full-color photos, and features an afterword by Nicholas Fox Weber and essays by Manuel Cirauqui and T'ai Smith that shed critical light on Albers and her career. Zusammenfassung The description for this book, On Weaving: New Expanded Edition, will be forthcoming. Written by one of the twentieth century's leading textile artists, this splendidly illustrated book is a luminous meditation on the art of weaving, its history, its tools and techniques, and its implications for modern design. First published in 1965, On Weaving bridges the transition between handcraft and the machine-made, highlighting the essential importance of material awareness and the creative leaps that can occur when design problems are tackled by hand. 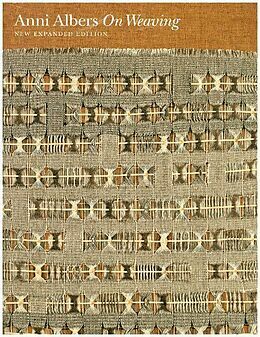 With her focus on materials and handlooms, Anni Albers discusses how technology and mass production place limits on creativity and problem solving, and makes the case for a renewed embrace of human ingenuity that is particularly important today. Now available for a new generation of readers, this expanded edition of On Weaving updates the book's original black-and-white illustrations with full-color photos, and features an afterword by Nicholas Fox Weber and essays by Manuel Cirauqui and T'ai Smith that shed critical light on Albers and her career.